Uncle Scrooge is checking out a creepy Transylvanian manor looking for treasure. Before he can add to his obscene pool of riches, however, his troublesome nephews fall into a trap, and it's up to Scrooge to rescue them-armed only with his cane, top hat, and grumpy demeanor, of course. 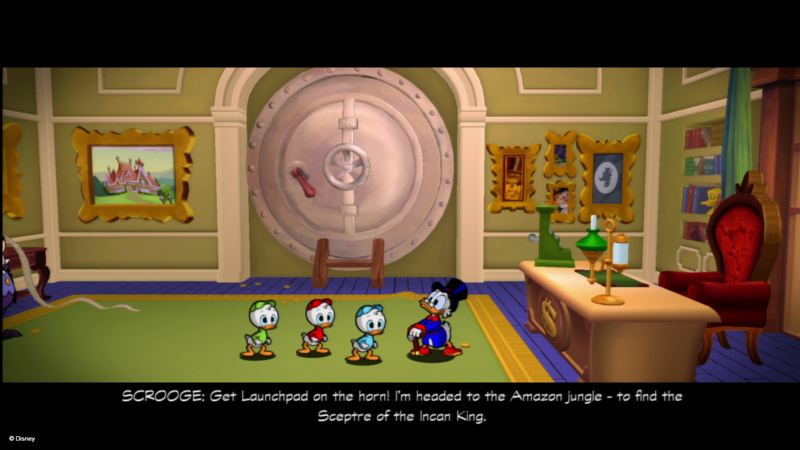 It sounds like the plot of an episode of DuckTales, but it's actually the start of a level of DuckTales: Remastered. Capcom's reimagining of the 1989 NES classic feels like the animated series come to life, right down to the beautifully voice-acted dialogue, but it's more than just nostalgia that makes DuckTales worthwhile. 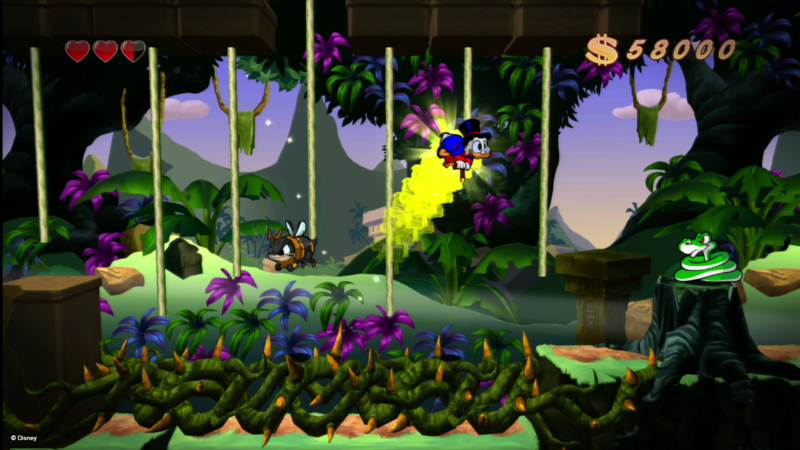 Combining exploration and platforming with gorgeous sprites on vivid 2.5D environments, DuckTales: Remastered is a treat even for those who didn't watch Disney Afternoon every day after school. 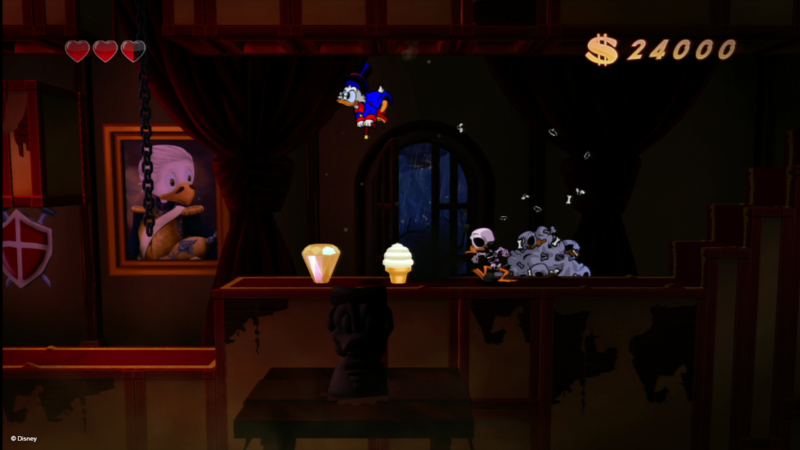 I got my hands on the aforementioned Transylvania level of DuckTales: Remastered, and ran into some familiar faces: Scrooge and his nephews, of course, Webby, Mrs. Beakley (who helpfully provided health-providing cake), and even a few Beagle Boys disguised as ghosts. 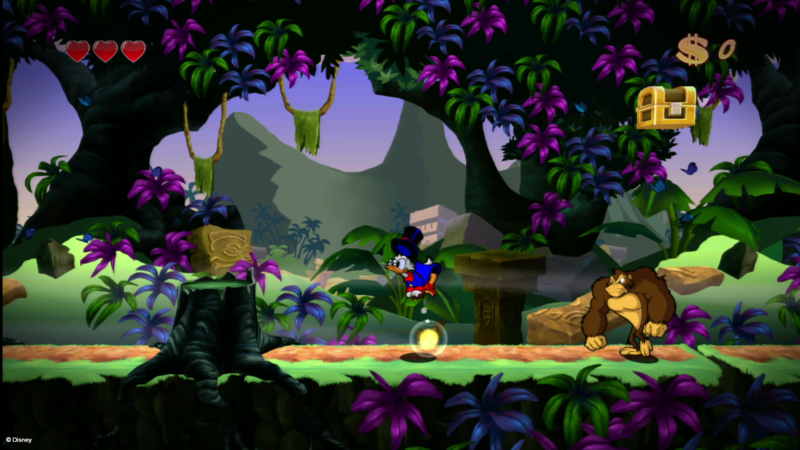 As Scrooge, my mission was to rescue Huey, Dewey, and Louie, who had been separated and imprisoned in cages. The mansion was pretty big, with lots of differing paths through, but a Castlevania-like map helped me keep track of where I'd been and where my objectives were. I did go off the beaten path looking for treasure when I could, of course; Scrooge didn't travel to Transylvania to go home empty-handed. 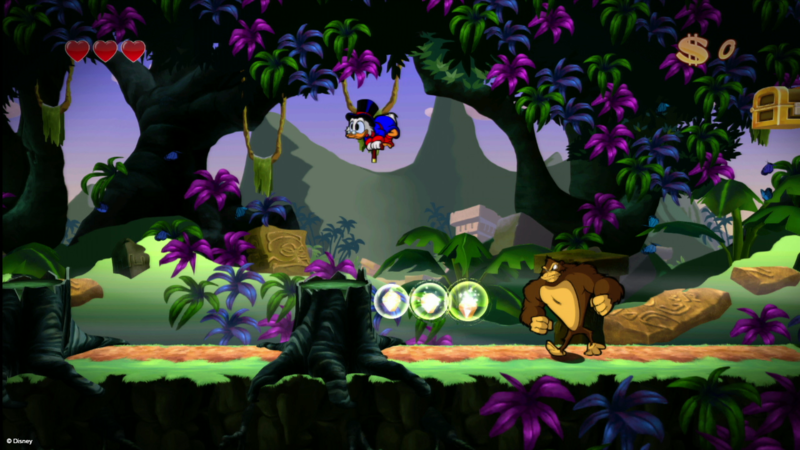 As platformers go, DuckTales is pretty simple; walking and jumping made up the majority of the level's gameplay. 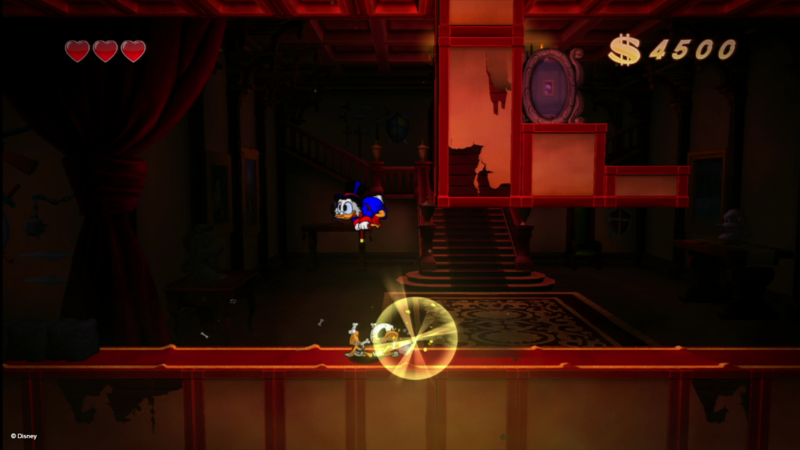 Additionally, Scrooge can swing his cane to knock objects out of the way (or into foes), and use it to get a jump boost, which also works well as an attack. The level I played had a few moving minecart segments, which required fast thinking-and ducking-to stay alive. 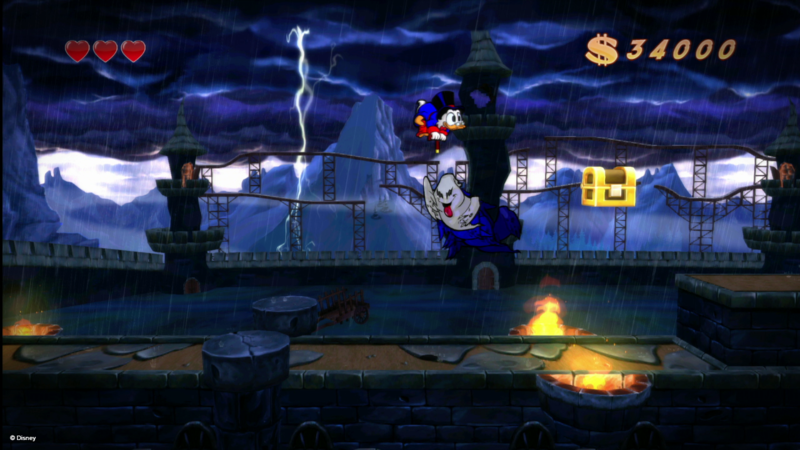 Rescuing each nephew required fighting one of the disguised Beagles, which got progressively harder with more and more enemy ghosts floating about the screen. 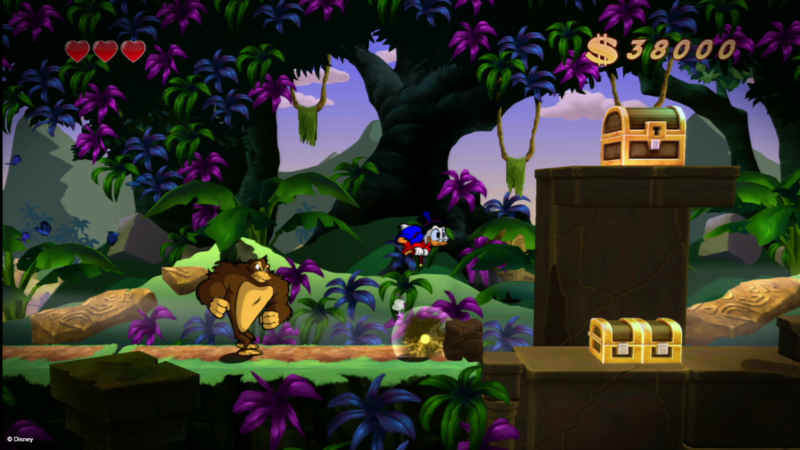 Where DuckTales really stands out is the presentation, which is sure to make every nostalgic child of the 80's smile. The character sprites are beautiful and look true to the franchise. The artwork is gorgeous. I didn't experience much variety in environments, only having played one level, but I'd certainly like to see more. There's a reason this game caused such a stir when it was announced at PAX East earlier this year; it just captures the spirit of DuckTales in a way that's both new and comfortingly familiar. 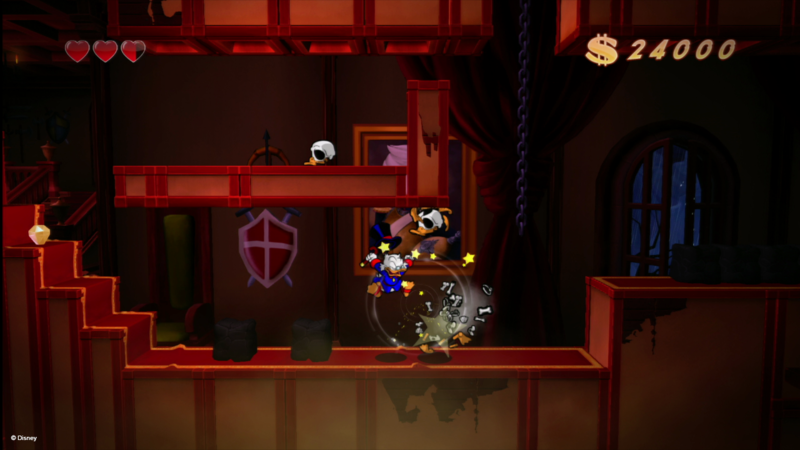 DuckTales: Remastered may lack depth in gameplay, but it shines in its simplicity. 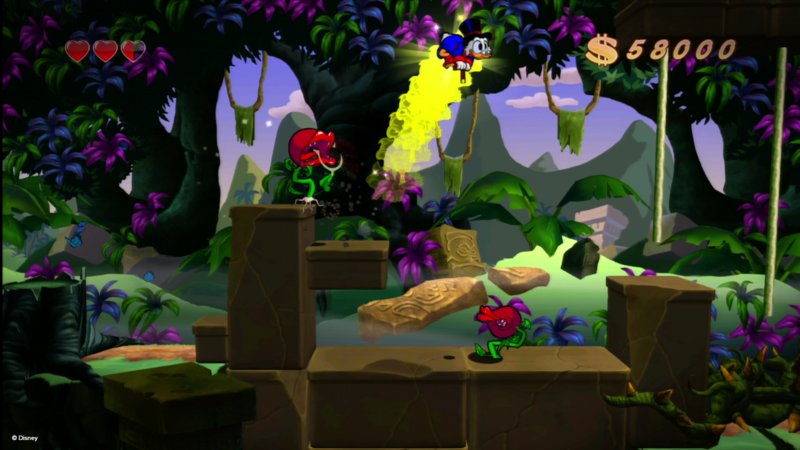 DuckTales: Remastered will be out later this year for the PS3, Wii U, Xbox 360, and PC.